Find your form factor. Your computer case (the chassis of your machine) will determine the form factor your motherboard needs to comply with. If you're building your system from scratch, these days you will buy an ATX case; it's a vast improvement over the old AT design. 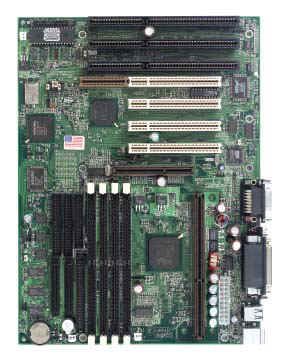 An AT or Baby AT (BAT) motherboard will tend to have a five-pin keyboard port and I/O ports that attach via cables to headers on the motherboard. The power supply connector consists of two six-pin plugs - which bizarrely can be fitted incorrectly, causing serious system damage. 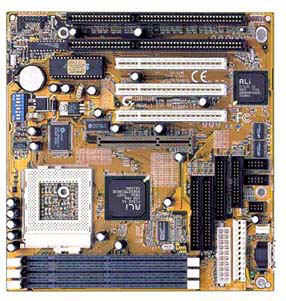 The ATX type usually has PS/2 mouse and keyboard ports, with I/O ports built in and sticking up from the motherboard. The power supply connector is a 20-pin multiplug. This table is a summary comparison of the sizes of the various motherboard form factors, and compatibility factors. 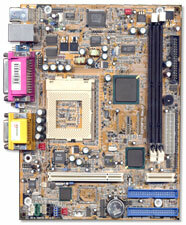 Note: Some ATX cases will accept baby AT form factor motherboards. When connecting the PSU leads keep blacks together! 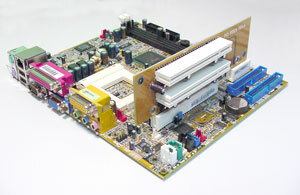 New ATX Flex form factor, to suit compact cases, such as those from Shuttle. These new format PCs will become very popular especially for the user who has no intention of opening up their PC.